Third, and I would say the area that I am most excited about, is the PCIe flash storage market. The upcoming launch of the Romley processor this quarter will dramatically improve server performance, which in turn will exacerbate the need for high-performance storage. Storage performance just really hasn’t kept pace with server performance over the last five years, which means servers sit idle, and are essentially underutilized while they wait for data from the external storage array. So to eliminate that bottleneck, vendors like Fusion-io and OCZ have developed solutions based on PCIe flash storage. Q: What do IBM, HP, Dell, EMC, NetApp, 3Par, Compellent and Xiotech have in common? A: We all use disk drives manufactured by Seagate. No matter which storage vendor you deploy, Seagate drives are at the heart of the technology. 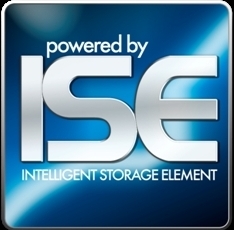 Now let me share with you Xiotech’s Integrated Storage Element (ISE). We take the very same Seagate technology to the next level — after all, we know these drives better than any other storage vendor. PLAN #1: Deploy 100 $20k storage subsystems of [INSERT YOUR BRAND HERE] each costing 15% to keep under maintenance in years 4 & 5 (assuming 3 year warranty) = $600,000. PLAN #2: Acquire xiotech ISE @ 30% less initial acquistion cost/space/energy to produce the same performance (or better) and pay $0 in hardware maintenance over 5 years. If you’re a former client from FileTek, Agilis, Sensar, Verity, Immersion or Fusion-io, you’ve seen what I’ve seen: disruptive technology making a significant difference — and Xiotech ISE is no different. Don’t believe me? MAKE ME PROVE IT! LUG 2010 This Week in Stunning Monterey! LUG 2010, a two-day event, will feature a workshop and numerous presentations on select Lustre features, upcoming enhancements, site-specific experiences using Lustre, and much more. Someone plesae cost out this configuration and pass it along.